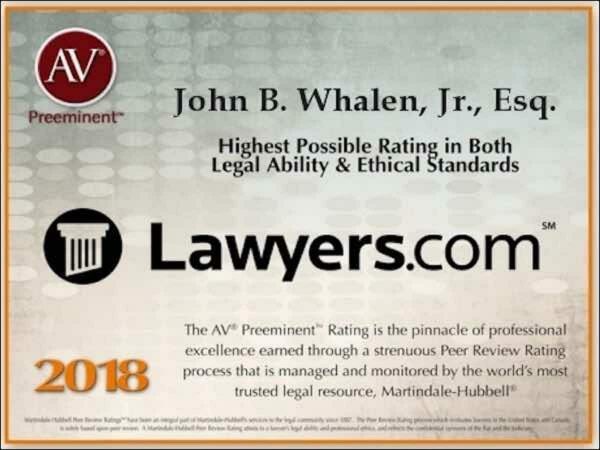 John B. Whalen, Jr., JD., LL.M., is an AV Peer Review Rated Preeminent 5.0 and Avvo Rated 10.0 Superb (obtaining over 95 client reviews and peer endorsements) premier and prestigious Attorney and Counselor at Law. He is located at 1199 Heyward Road Wayne Pa 19087. He serves all surrounding counties, on all 7 days, from 9:00 AM to 10:00 PM, and on evenings, weekends, and holidays. He provides brief free initial consults all seven days, requires a one hour ($450.00) consult fee paid in advance for further consults and client meetings, and provides home visits and flat fees. He can be reached by email at jw60297@me.com, and by telephone at 1-610-407-0220. He has amassed over 60 prestigious and premier professional awards and over 5000 client reviews and endorsements. He concentrates his three decade career in the legal areas of Pa Probate, Pa Estate Planning (including Pa Last Wills, Pa Powers of Attorney, Pa Living Wills), Pa Estate Administration, Pa Estate Taxation, Pa Estate Litigation, Pa Beneficiary Representation, and Pa Guardianships. Mr. Whalen conducts his practice in serving West Chester Pa Probate Wills Estates Lawyers, serving Media Pa Probate Wills Lawyers, serving Norristown Pa Probate Wills Lawyers, serving Malvern Pa Probate Wills Lawyers, serving Ardmore Pa Probate Wills Lawyers, serving Wayne Pa Probate Wills Lawyers, serving Collegeville Pa Probate Wills Lawyers, serving Skippack Pa Probate Wills Lawyers, and serving all surrounding areas. For more than 130 years, lawyers have relied on the Martindale-Hubbell AV Preeminent® rating while searching for their own expert attorneys. Now anyone can make use of this trusted rating by looking up a lawyer’s rating on Lawyers.com or martindale.com. 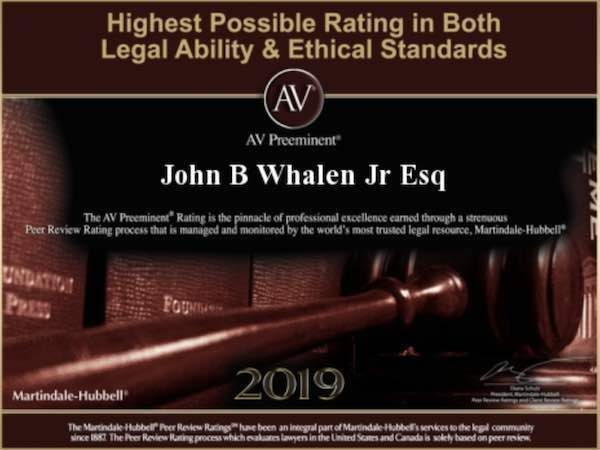 The Martindale-Hubbell® AV Preeminent® rating is the highest possible rating for an attorney for both ethical standards and legal ability. This rating represents the pinnacle of professional excellence. It is achieved only after an attorney has been reviewed and recommended by their peers – members of the bar and the judiciary. 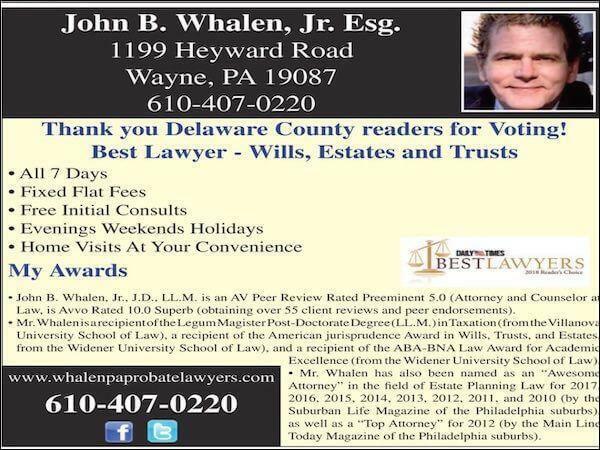 Congratulations go to John B. Whalen, Jr., J.D., LL.M. who has achieved the AV Preeminent® Rating from Martindale-Hubbell®. John B. Whalen, Jr., J.D., LL.M. commented on the recognition: “The Martindale-Hubbell AV Preeminent Rating is a credential highly valued and sought after in the legal world. 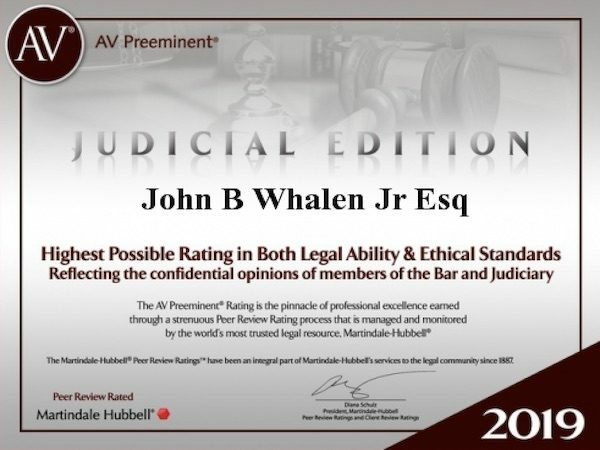 John B. Whalen, Jr., JD., LL.M., (Attorney and Counselor at Law,) is AV Peer Review Rated Preeminent 5.0 and Avvo Rated 10.0 Superb (obtaining over 95 client reviews and peer endorsements). Mr. Whalen is the recipient of the Legum Magister Post-Doctorate Degree (LL.M.) in Taxation (from the Villanova University School of Law), a recipient of the American Jurisprudence Award in Wills, Trusts, and Estates, from the Widener University School of Law), and a recipient of the ABA-BNA Law Award for Academic Excellence (from the Widener University School of Law). Mr. Whalen concentrates his legal practice solely in all areas of Pa Estate Law, including Pa Probate, Pa Estate Planning, Pa Estate Settlement, and Pa Estate Taxation. 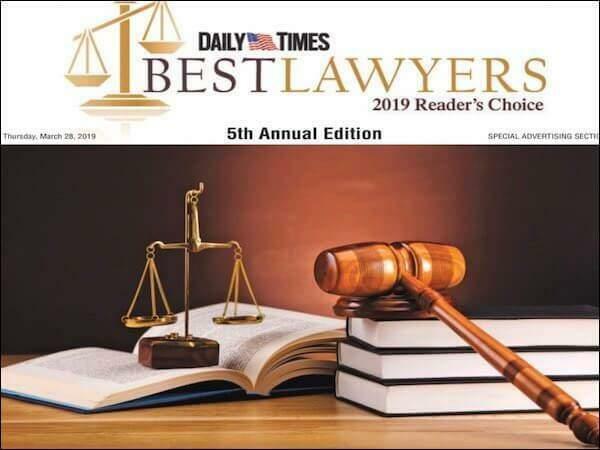 In light of Mr. Whalen’s 3 decade decorated career, accolades, and thousands of client reviews, Mr. Whalen still provides a very brief free initial consultation, but commands a one hour ($450.00) flat fee to provide any further legal advice. Mr. Whalen’s practice still provides his legal services seven (7) days per week, including all evenings, weekends, and holidays. Dear John Whalen … Recognitions show the outside world that you are someone who can be relied on … Who can deliver … Who stands above the rest…Put Your Excellence On Display! John B. Whalen, Jr., Esq. 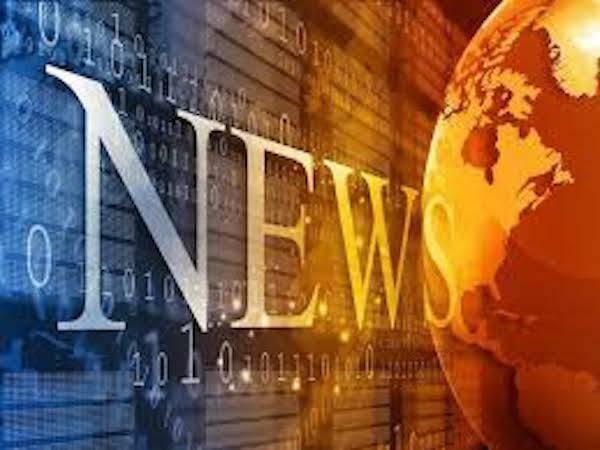 was given the rating from his peers, which means that he was deemed to have very high professional ethics and legal ability. Only lawyers with the highest ethical standards and professional ability receive a Martindale-Hubbell Peer Review Rating.